The tagline for Scamp & Dude's new Swag Bags states, "When women support women, amazing things can happen," and if there's one sentiment we're happy to be reminded of, it's this one. The award-winning kids' line (which now stocks adults clothing) was founded by Jo Tutchener-Sharp and is stocked in the likes of Liberty London and Harrods. Having worked in the beauty industry for years, directing PR campaigns and organising high-profile events for the likes of Dolce & Gabbana and Esteé Lauder, I can confirm that Tutchener-Sharp is well-known and respected in the beauty world. However, in 2015, the PR professional suffered from a brain haemorrhage and had to put her life and career on pause. Having to leave her children for long hospital stays to undergo surgery meant she missed them immensely. It was this life-changing period that inspired her to create Scamp & Dude—a clothing brand to remind children that there's always someone watching over them. But now, she's once again extending her feel-good, do-good brand to create the coolest multiuse pouches you'll want to fill with all of your favourite beauty products. Enter Scamp & Dude's Swag Bags. 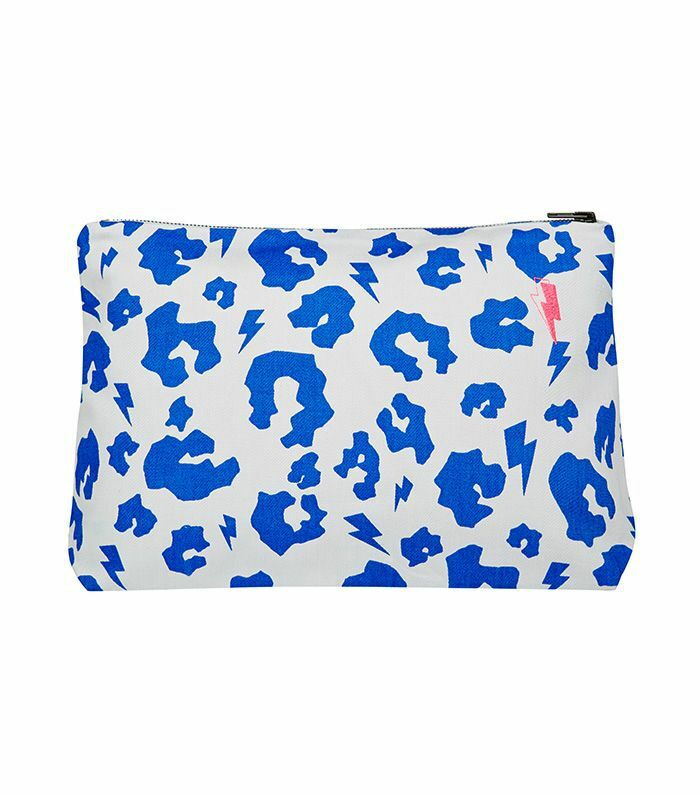 The brand's Swag Bags are multiuse zip bags created in association with some of the biggest names in the beauty industry—Sali Hughes, Sam Chapman, Caroline Hirons, Ruth Crilly and Ruby Hammer, who were all hand-picked by Tutchener-Sharp for their huge hearts and willingness to give back. The participating women took the brand's iconic leopard-print-and-lightning-bolt design and made it their own in a rainbow of different colourways. We're really into the electric-blue version above. The bags can be used as a cosmetic bag, diaper bag, beach bag or any kind of bag you need. We're just dreaming about how we can organise our holiday beauty products into a few of them. But being born with a mind like Tutchener-Sharp's means that these aren't just great-looking toiletry bags—they also give back. In fact, £11 of each sale goes to Sarcoma UK, Diabetes UK, The Genesis Research Trust, Cancer Research UK and Refuge—all charities chosen by the selected beauty experts. What would you use your Swag Bag for? Come and tell us in our Facebook group The British Beauty Line.